This deck is a reproduction of an Italian deck from the 1880's, which in turn was based in part on the 1835 deck by Carlo DellaRocca. 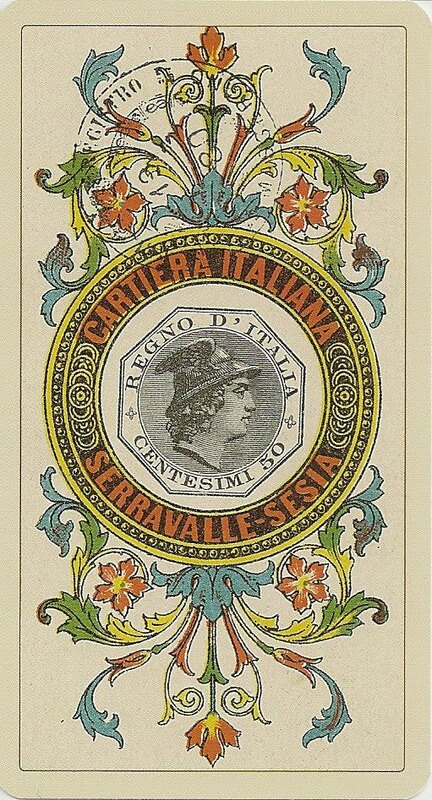 This version of Dellarocca’s deck was produced by the Avondo Brothers of Serravalle-Sesia, a small town known for its card production. 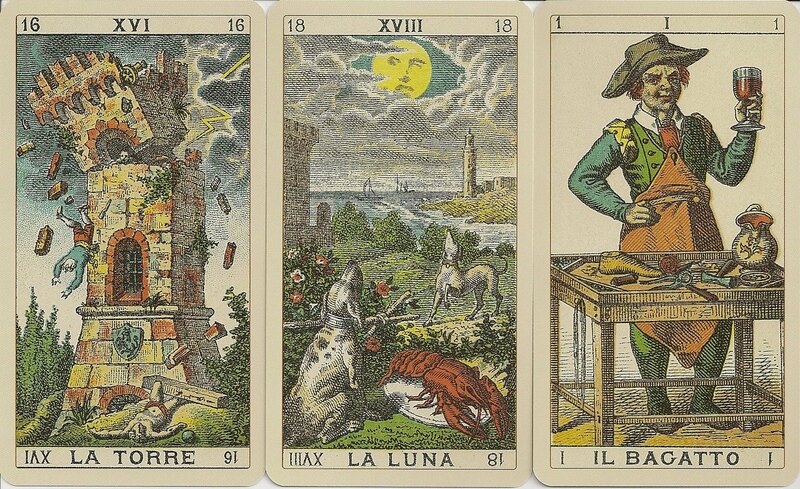 It was reproduced in 2000 by Lo Scarabeo as the Ancient Italian Tarot. The trumps in this deck are based on Marseilles symbolism. As typically Italian modification the Magician (I - Il Bagatto) becomes an artisan, probably a cobbler. This deck is similiar to "The Classical Tarots", which is a recoloured reprint of Della Rocca's original engravings from 1835. In the Classical Tarots, the fields of the images have been narrowed slightly to allow for the printing of keywords along the border. In the Ancient Italian Tarot deck the lines are thicker and less detailed. The deck has not been re-colored, and the colors are darker. The pip cards in the Ancient Italian contain Arabic numerals, whereas the Classical pips have roman numerals. 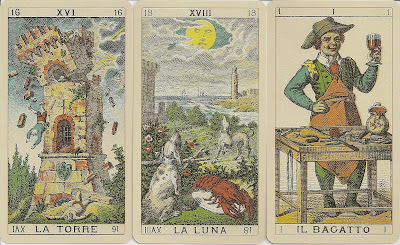 In the "Ancient Italian Tarot" the court cards have been redone , and the Avondo Brothers gave the pip cards some unique features. The Ace of Cups is unlike that of any other deck. A cherub sits in a window cut in the side of a large chalice that has dolphins at the base. The cups in the rest of the suit have blue jewels on their bowls. The suit of Batons is decorated with gold plaques, red hearts and filigrees instead of the usual flowers and leaves. The center enclosure in the even numbered swords cards has an oak or laurel branch instead of a flower as in most decks. The Ace of Coins has the tax stamp and Winged Mercury in the center of the coin. The extra tax stamp, dated 1880, towards the top the card is in black, indicating that the deck was for domestic market. 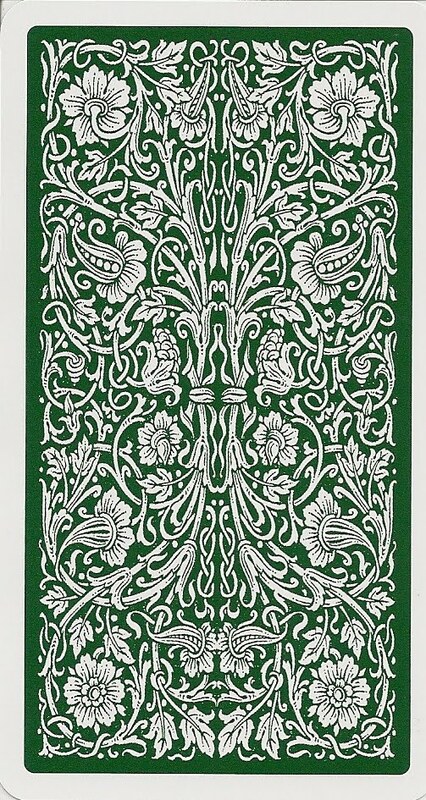 The vegetation throughout the pip cards is heavier and more lavish than in any other deck.